Everyone knows moving is stressful. Since 1999, TWO MEN AND A TRUCK® Chattanooga has been servicing the area and taking that stress from our customers' shoulders and moving it to ours. Our goal is to exceed your expectations time and time again. We didn't earn our "Movers Who Care®" status just by simply moving people from one place to another. The 96 percent of our customers who would refer us to their family, friends, and colleagues know that what we offer goes beyond that - we are moving people forward. 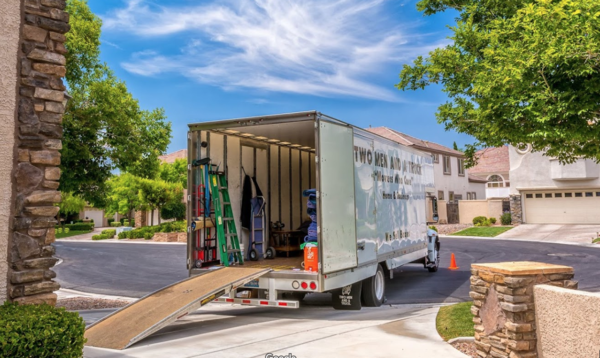 All of our professional movers and drivers are background-checked and drug screened to ensure the safety of your belongings throughout the move, also going through extensive training of our best practices in order to provide excellent customer service. Whether you need help moving furniture from one room to another, moving down the road or across the country, we are here to help! TWO MEN AND A TRUCK® Chattanooga is now servicing the surrounding areas of Lookout and Signal Mountain, Hixson, Ooltewah, and Cleveland.